The Antique Mirror ~ The History Girl! This is our latest acquisition! 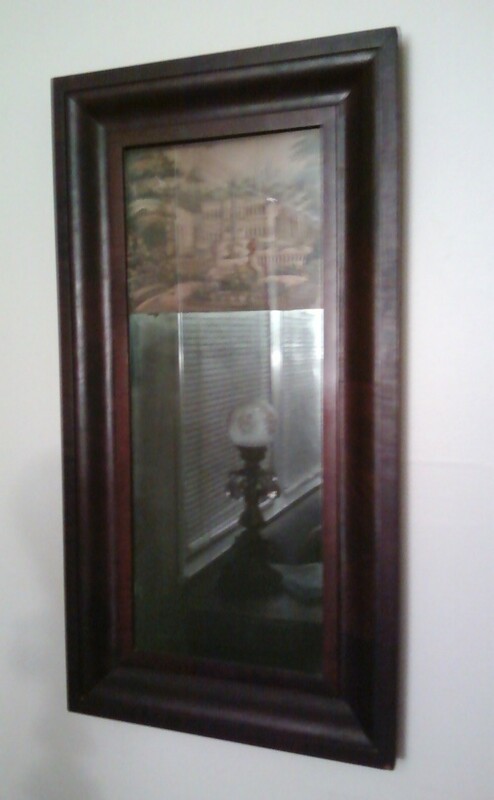 It is a circa mid-nineteenth century walnut frame mirror. What makes this mirror unique is that the top portion has a Victorian image of a garden behind glass. It was purchased from an estate sale at a wonderful historic home in Somerville, NJ. That is a cool mirror! I love how you got the reflection of the lamp in it. Thanks for sharing!